In this study, a novel ferroelectric composite consisting of triglycine sulfate and cellulose nanoparticles at different weight composition ratios was successfully synthesized. A comparative study on structure and electrophysical properties for dried and wet composite samples was carried out. 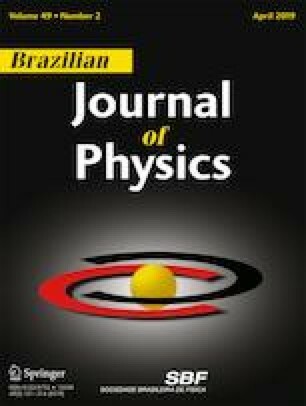 The measurements of electrophysical parameters were performed from 10 to 120 °C under a weak electric field with an amplitude of 1 V cm−1 at low and infra-low frequencies (10−3–103 Hz) under different relative humidities of 0, 30, 60, 80, and 100%. The characterization results showed a significant impact of moisture on crystallinity and features of functional groups in the composite. Besides, phase transition temperature of the composite increased by 3 to 63 °C higher than those for single crystal of triglycine sulfate (+ 49 °C) in dependence on cellulose content in the composite. Along with a significant increase in dielectric constant, dielectric loss, and dielectric dispersion in the composite due to high conductivity caused by moisture, the water molecules on sample surface led to the appearance of addition peaks in temperature dependences of dielectric constant and dielectric loss tangent in the initial stage of heating. All the anomalies can be explained by the strong interaction through hydrogen bonds between triglycine sulfate and cellulose components as well as between these components and water molecules in the composite.